“Laos has been in the middle of one war after another, since the day I was born,” he explained, “it was just a part of life.” Onkeo was born in 1947, two years after the end of the Second World War, and the start of the First Indochina War. The French defeat at Dien Bien Phu and the signing of the Geneva Accords in 1954 did not bring peace to Laos. The American War in Vietnam would begin the following year. For the next decade the Pathet Lao Movement would fight for control of the countryside with the support of their Communist allies in North Vietnam. Together, they created a logistical system through the jungles of eastern Laos for the transport infantry and weapons from North Vietnam to South Vietnam, which became known as the Ho Chi Minh Trail. Starting in December 1964, with the permission from the Royal Lao Government, the U.S. would begin a systematic bombardment of the Ho Chi Minh Trail and other strategic positions in Laos. In 1968, the Army of North Vietnam invaded and defeated the Royal Lao Army in order to secure its supply lines to the south. In the years to follow, the Royal Lao Army would continue to lose positions and power. After the U.S. withdrew its support in 1973, the Pathet Lao forces, with the backing of North Vietnam, gradually demobilized what remained of Royal Lao Army. In 1975 they seized control of the entire country, putting an end to the Constitutional monarchy and establishing the Communist party as the sole government. Onkeo spent ten years of his young adult life in the military and met with many life shaping experiences. While stories from his past seemed to extend the war into our family’s everyday life, not giving us peace, they were also informing lessons on the kinds of decisions people make of in times of crisis. Onkeo entered the military in 1963 and was based in Xieng Khouang, Vang Vieng, Khongsedone, then Pakse, before finally leaving the country in 1975 at the age of 28. An urgent radio communication came in from a platoon that was in the front line. They sent up an emergency flare to signal their location for rescue. It was a group of eight men, camped in a remote jungle area. Food was in short supply and they were very hungry. They took it upon themselves to pick mushrooms from the surrounding area and prepare a stew. Each of them fell seriously ill and were barely able to call for help. Onkeo’s group arrived at the location to find that they were all in very bad shape and within two hours all died from toxic mushroom poisoning. Onkeo had just joined the military, and this incident was the first of many tragedies he would witness firsthand. Xieng Khouang Province, with its rugged mountains, dramatic valleys and fertile plateau, has had the misfortune of being a historical crossroads for conflict. The Chinese, Siamese and French each took turns invading, destroying and occupying the ancient city. The Royal Lao Army had its provincial base in Mouang* Xoui. He recalled the majestic beauty of the landscape, with its many rivers and waterfalls, ancient temples, historic architecture and famous Plain of Jars. In Xieng Khouang Onkeo made a chance encounter with a man who also fell in love with the remote province. Kor Viseth was a fellow Royal Lao Army officer who was also stationed in Mouang Xoui at the time. He would go on to sing one of the most famous Lao songs named for the region, “Xieng Khouang Dan Ngam” or “Beautiful Land of Xieng Khouang.” The song is also very popular among Hmong Americans, many of whom lived in the hills of Xieng Khouang before being forced to evacuate and relocate due to the hostilities of war. The region became the largest battleground in the United States’ Secret War in Laos, the heavy bombing destroying ancient temples, leaving craters in the landscape and a legacy of unexploded ordnance (UXOs) that did not explode when they were employed and still to this day pose a risk of detonation. 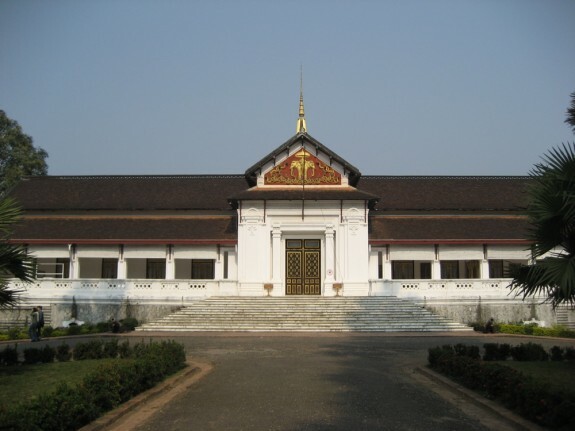 In 1965, Onkeo was sent to Phitsanulok in northern Thailand for six months of advanced officer training, which was run by the United States Military on a base rented from the Royal Thai Army. The courses on leadership, administration, military strategy and logistics were taught by American officials, with the assistance of Lao translators. Onkeo also studied more English to supplement the language training he already received at the base in Mouang Xoui. After completing the officer training, Onkeo was promoted to the rank of Section Commander and became a U.S. Military Advisor. “Unlike the Vietnam War, the war in Laos was among relatives,” Onkeo explained, “Most Laotians did not want to kill one another.” Many of the major battles in Laos were led by North Vietnamese soldiers. The bombs dropped overhead were from American planes. Onkeo recalled several instances of staged battles between Lao soldiers. Platoons were sent out to skirmishes in the countryside and asked to report back to their superiors. Rather than engaging in battle, soldiers from both sides agreed to blow up their vehicles, take photographs and return to their posts to relate the victory. Both parties were able to report success and lives were spared. Many lives were lost in the war, but many were also spared by individuals who saw past politics and valued their deeper shared heritage. Onkeo, like many soldiers in the war, were carrying out orders from their superiors, who in turn were caught in the middle of a power struggle between the Western world and the Communist world. While some may argue that the cause for war was rational and justified, the resulting consequences continue to haunt the landscape and the lives of all who took part.